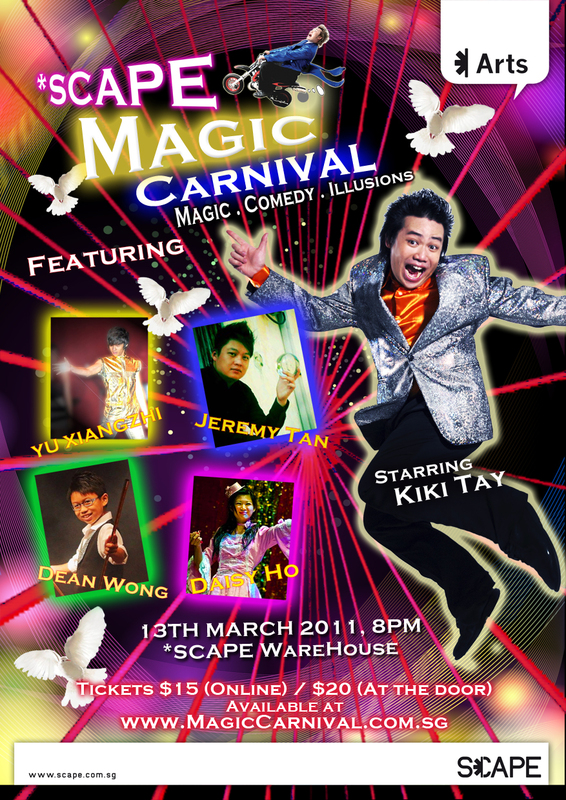 Here is one of the acts in SCAPE MAGIC CARNIVAL February!! In case you missed it, don't miss the upcoming show!! It's in 2 weeks' time!! Hurry! Tickets are limited!! Get your tickets online at www.MagicCarnival.com.sg! was a blast! Thank you everyone who came to support! Here are some photos from the show! A violin act gone wrong! Thank you everybody who made it happen! Look out for a BRAND NEW SHOW on 13th March!! Today, my good friend John invited me to his amazing 35 million-dollar home, and I had hell-of-a-good-time!! John has an incredible collection of cars! Two of my dreams are parked right outside his house! 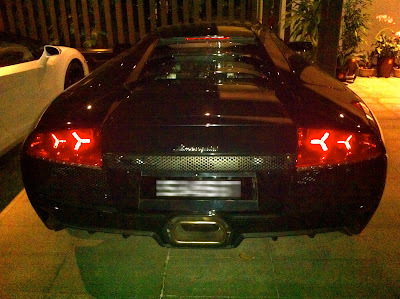 And the Lamborghini Gallardo LP560-4 Spyder convertible! Closing the top of the Gallardo Spyder! Lamborghini Gallardo LP560-4 Spyder Convertible (on the left) Cost SGD$1.2 Million Dollars in Singapore, while the Lamborghini Murcielago LP640 (on the right) cost a hefty SGD$1.3 Million Dollars! That's One-Million-US dollars! This is an actual picture of John's car parked in front of his 35 million-dollar house! it was featured in a "Super-car" calendar! Firing up the mean machine! John has been extremely supportive of everything that I do, and I'm extremely grateful!! Aside from running several successful businesses, John is also the president of our Singapore Association of Magicians. His success aside, John is an EXTREMELY nice and humble guy! With a loving family, a beautiful home and a healthy body.. What else can a guy ask for? 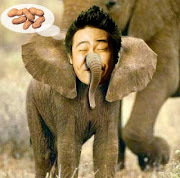 John Teo, Kiki Tay's Hero-of-the-day!